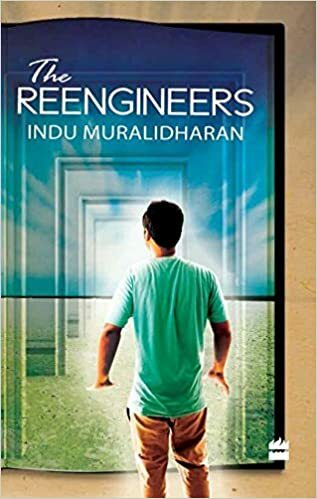 The Reengineers is dedicated to the poet. I was a compulsive reader of poetry in school and undergraduate college and idolised a number of poets over the years. Some of my readers who know me assumed that the poet is Subramaniya Bharati while others tell me that they like how I have dedicated my first novel to Tagore. Close friends assume that it is one of my poet crushes, a handsome Edwardian who died young. But only one person knows whom the dedication was intended for, as she suggested it. The poet in this context is one whose verse reached out to me during the years of depression. I was about seven or eight when I first read the poet in the Aside magazine. Fourteen years later, I was almost dead of depression when I pulled out that particular book of verse from a dark shelf in the British Library, a book which kept me alive for the next few years. All that now seems to be a past life, but I didn’t realise how far I had moved away from the past until last Hilary term when I chose to do a critique of the above book. I found myself agreeing wholeheartedly with my Professor as she explained how the poet was rather clumsy in handling rhyme and how his verse was far clunkier than, for example, Byron. My classmates had strong and clear views on the book which was also on our reading list for the term – ‘It was horrible!’ ‘Hated it!’ are a few of their comments, quoted verbatim. I surprised myself when I found that I agreed with their explanations. For now, I see the book for what it is. But I remain grateful for the verse. As I look back just for a moment, I find that the dedication could apply as much to this particular poet as it could to Bharati, Tagore, my Edwardian crush, or many others whose verse inspired, consoled, energised and sustained me through the years of literal and metaphorical exile during which I conceived and wrote The Reengineers. Well, perhaps a wee bit more for the poet. The poet. Here is a related excerpt. think of the moment I opened the book and turned to the first page, lo, my mind floods with light. For the next few days, the bulbul carried me on its wings, whispering to me though its songs that I was not alone in my sorrow. There had been other books that affected me. I had shrunk back from the darkness that leapt out at me from the yellowing pages of The Driver’s Seat. Sylvia Plath’s poems terrified me so much that it was years after I was out of the bell jar before I dared to open it. Chatterjee, on the other hand, acknowledged the darkness and even made fun of it. It was apparent from his verse that he had been touched by depression. Yet, instead of allowing it to take over his life, he opened the windows and asked it to find its way out.